was in turn inked by Bob Wiacek. Master of Kung Fun Omnibuses! 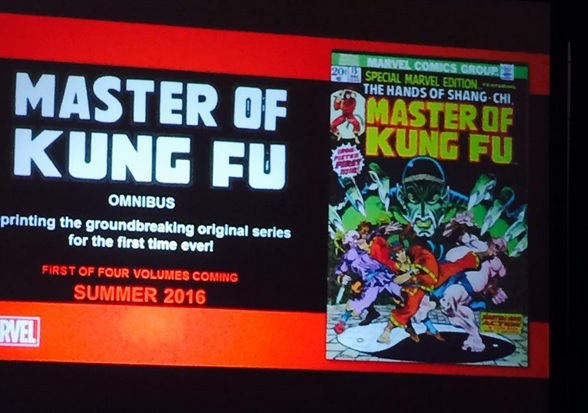 Looks like Shang-Chi's getting the Omnibus treatment in 2016! 1985 - 1987: Shifting Storms part III: Mutants, Morlocks & Marauders... Oh My Goddess! 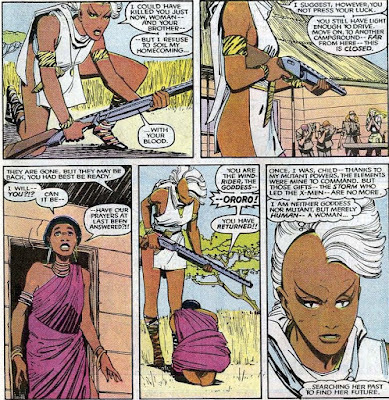 When we last left Storm, she had returned to Africa to cope with losing her powers. Back there, she came to terms with "merely" being Ororo Munroe. She set out to act as a bridge between Africa and the west and between mutantkind and humanity. 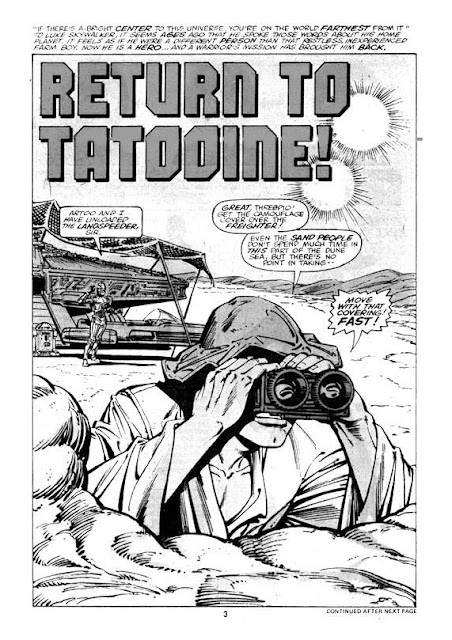 Unfortunately, fate and Chris Claremont soon pushed her back into familiar patterns... and beyond. 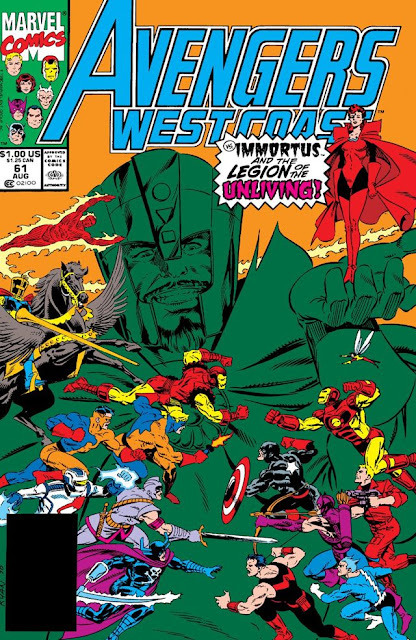 Fair's fair... it did take a little while for Storm to return to the X-Men. 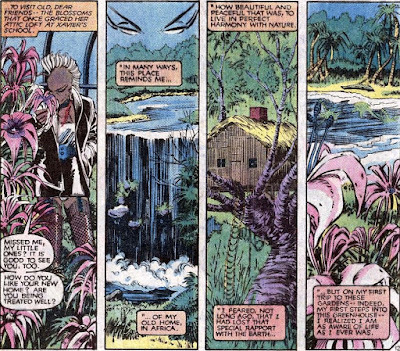 Chris Claremont had some fun with Ororo outside the comfortable confines of Xavier's school. For instance, he had her help out the New Mutants when they found themselves up against their old teammate Karma who was now possessed by the Shadow King. 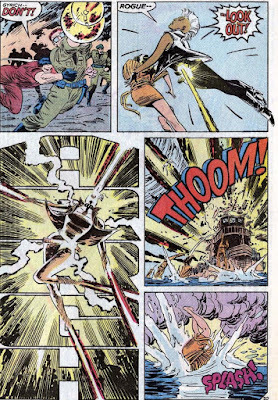 Just to make sure they wouldn't feel left out, "Karma" took control of most of the New Mutants ánd Storm. "Does that please you, Ororo? 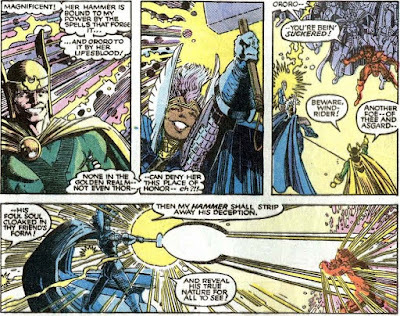 Is it not in fact your heart's desire"
Now, it goes without saying that Ororo and the others eventually found a way to defeat the Shadow King. Even in the junior leagues, having an X on your costume usually means your side will win in the end. Afterwards, Storm took the New Mutants to Greece for a much needed vacation. But there, she fell prey to the machinations of Loki. 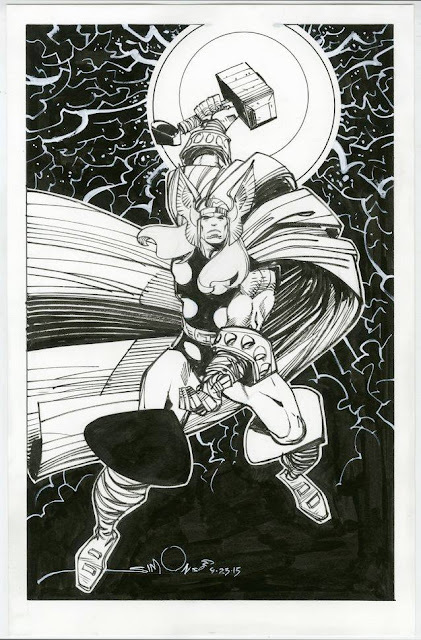 The power hungry Asgardian figured that he could use the absence of Thor to magically mind control Ororo into becoming the new goddess of thunder. Through her, he would rule Asgard. In the end, it took the combined effort of the X-Men and the New Mutants to get her back to normal and renounce the power Loki offered. 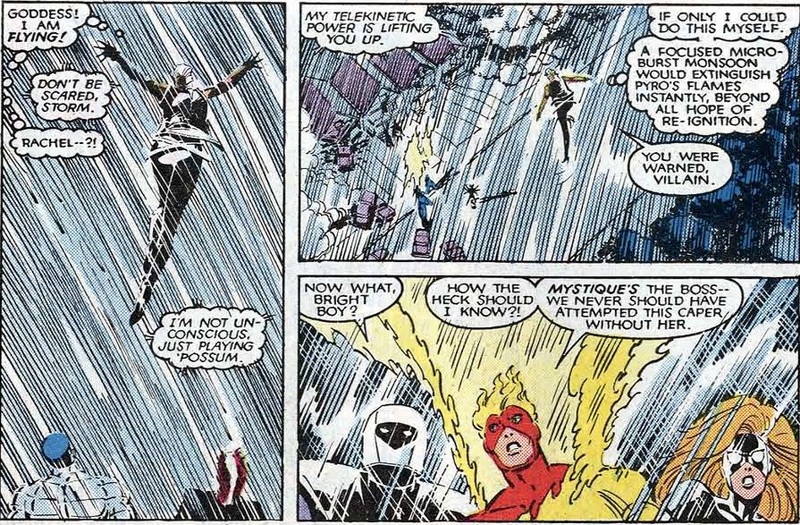 Still, while these adventures were certainly entertaining and well worth mentioning, they mainly used Storm as a prop. 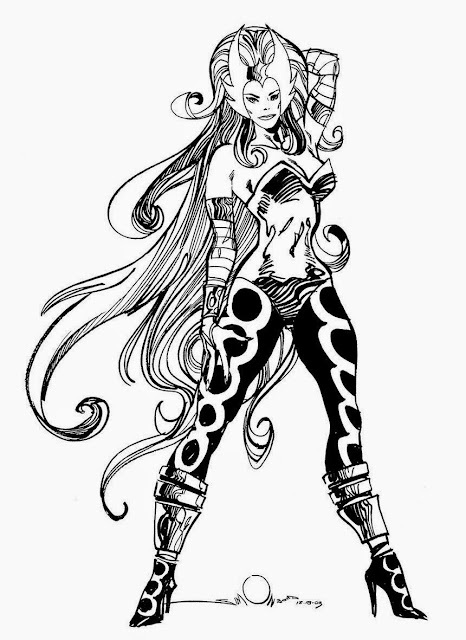 Especially the Asgardian adventure relegated her to a mind controlled pawn of Loki's, a far cry from the independent woman she'd been slowly evolving into. The next phase of Storm's evolution was returning to Earth with the X-Men to cope with the fact she had no powers and no professor to fall back on. 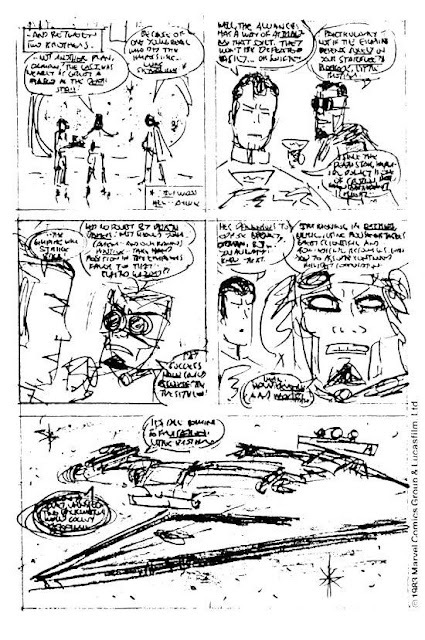 In the opening pages of Uncanny X-Men I#200 both the X-Men and the New Mutants left Asgard only to find themselves in Paris, France. This was no coincidence, after all that's where Charles Xavier happened to be. 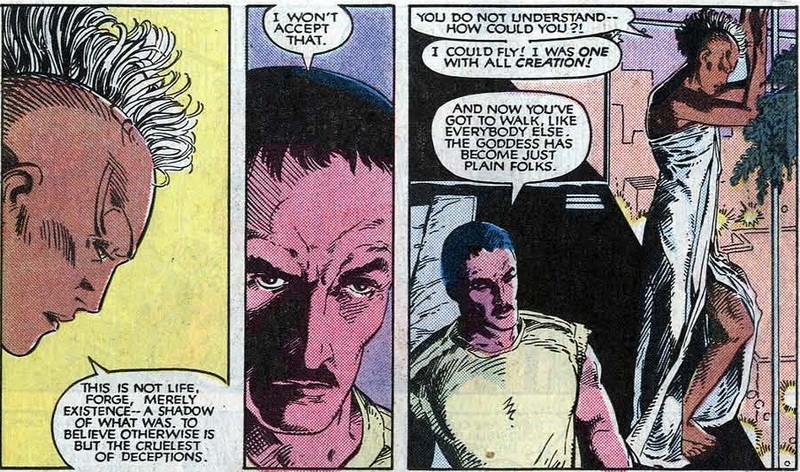 He had come to the city of lights to advise in Magneto's trial. Long story short: the terrorist group Fenris disrupted the proceedings, Magneto was forced to actively defend himself, the X-Men tried their best to fight back and all the stress gave the professor a fatal heart attack. He was saved by the timely arrival of his lover Lilandra and the Starjammers, who took him to outerspace so he could get the care he needed. Before he left, Charles asked Magneto to succeed him as the school's new headmaster. 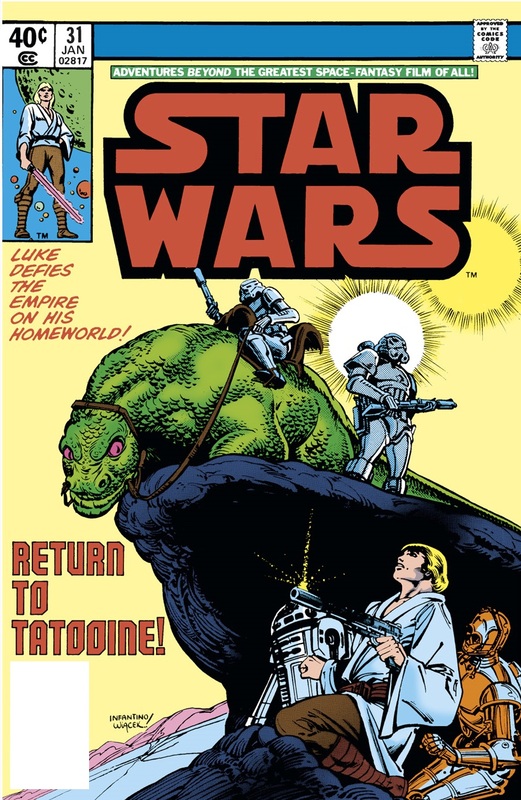 How's that for an anniversary issue? 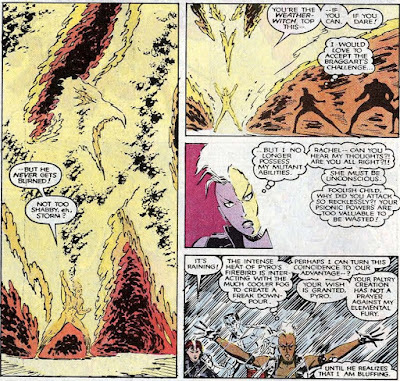 For Storm, the real fireworks started in Uncanny X-Men I#201. 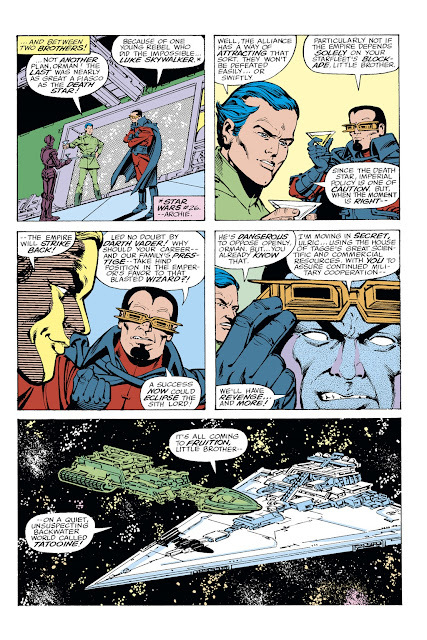 During her absence, Cyclops had drifted back into the fold, slowly taking over the leadership position. Now that Ororo was back, it was time to have it out. "One of us must lead. The best way to choose, I feel, is a duel." 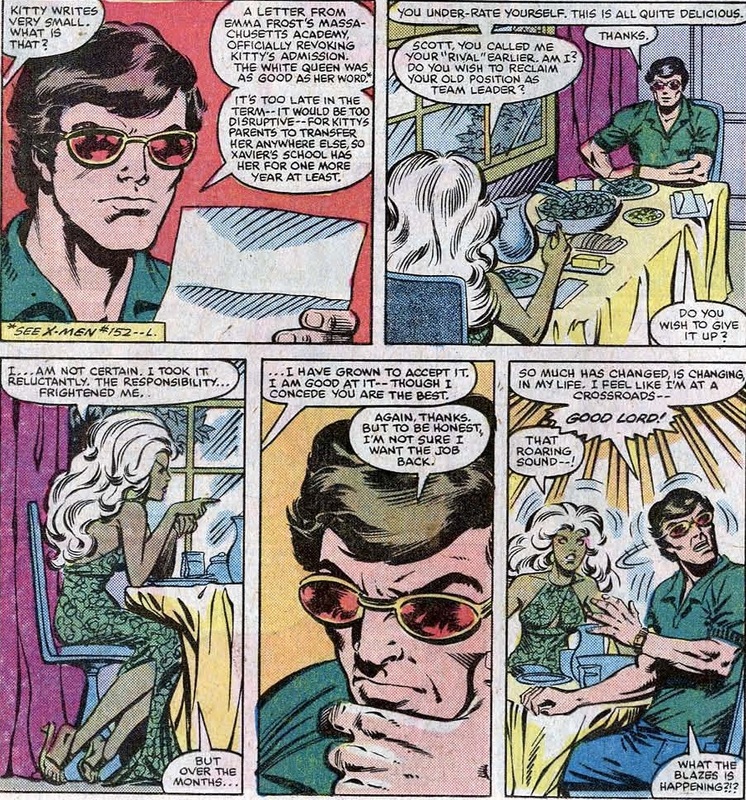 Cyclops agreed to Storm's proposal of a one on one fight in the Danger Room. Not too long after the proverbial gauntlet was thrown, the challenge was met. Both the X-Men and the New Mutants gathered to see who would win. 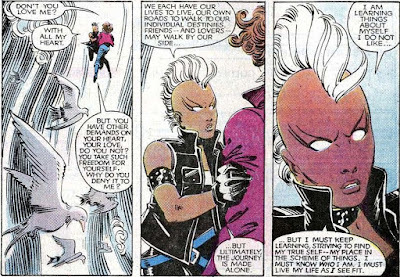 But before we get to the actual match, it's interesting to note how much Storm had grown as both a person and as team leader. Only three years worth of issues earlier, she would have gladly relinquished the position to Cyclops. "I am good at it... though I concede you are the best"
Only three years, but look at the change in art style alone. These characters had grown and evolved. It was a new era with equally new rules. 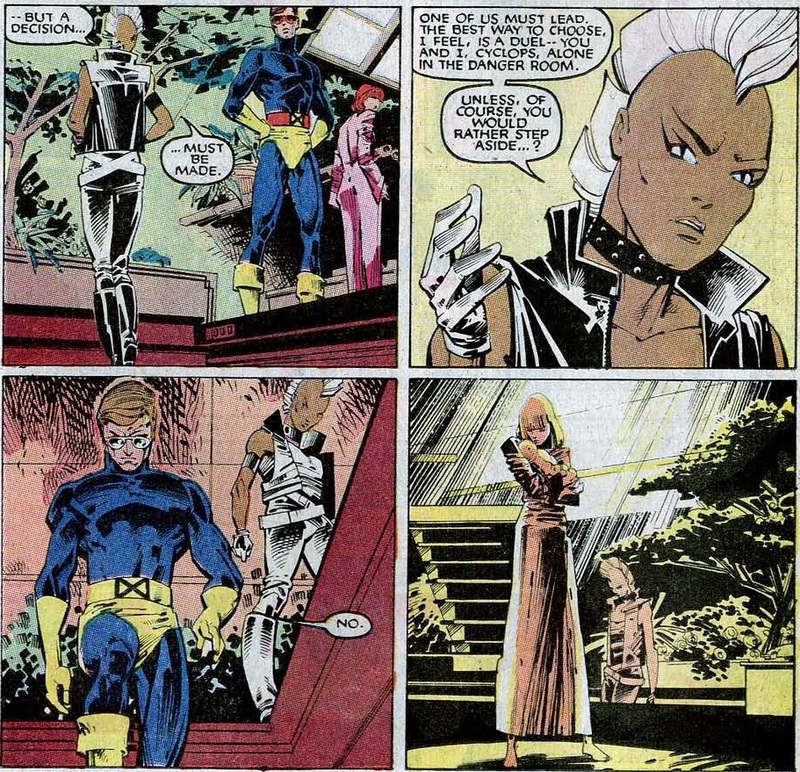 Storm might still have respected Cyclops like she did way back in Uncanny X-Men I#154, but by now her self confidence had grown to the point she at least considered herself Scott's equal. And, as their duel in the Danger Room proved... she was, and then some. "You are effectively helpless, Cyclops (...) Our duel is over". 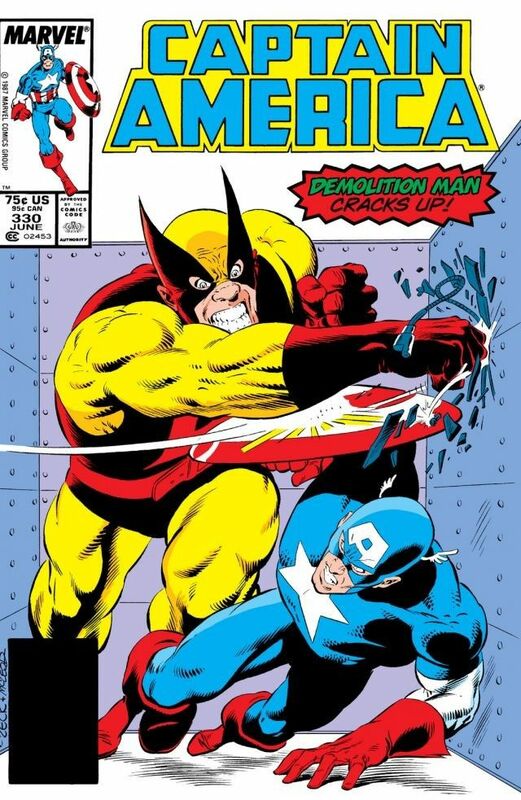 1985 marked the year that most of Marvel's line turned to darker, more conflicted storylines. 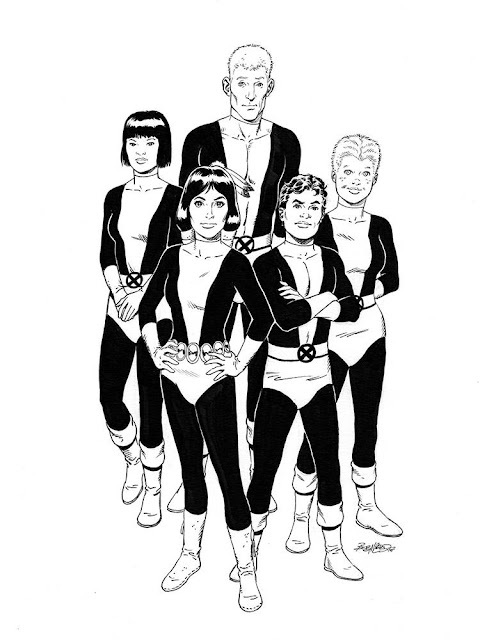 Claremont's X-Men were no exception. 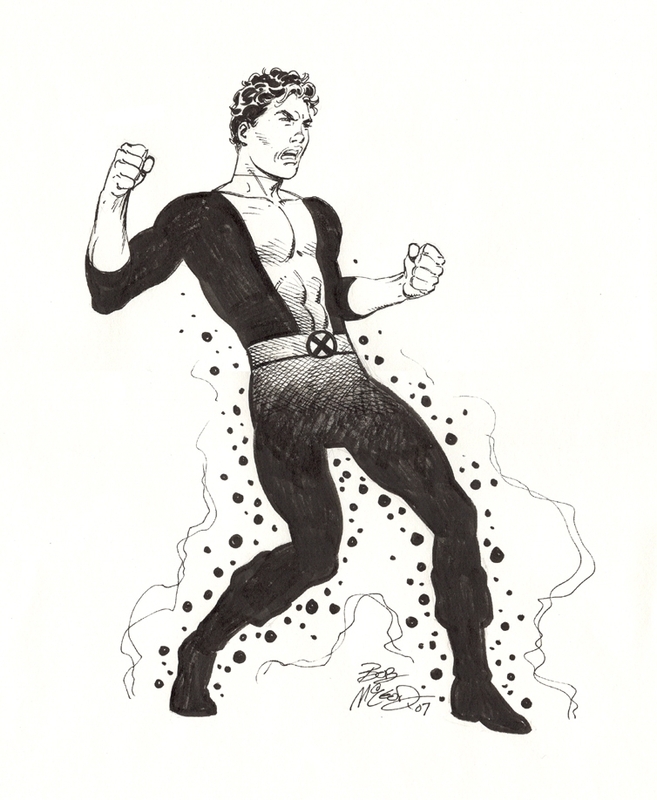 But 1985 was also the year of the Beyonder, who the X-Men had to fight as part of the much maligned mega crossover Secret Wars II. 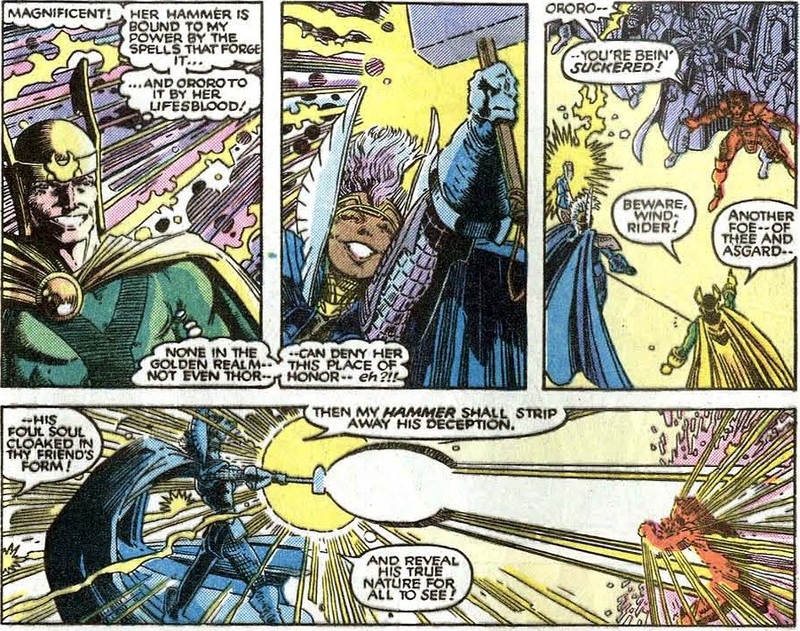 Storm's part was relatively minor, though she did prove her worth by defeating a Sentinel on her own. Well, technically, she was flying the Blackbird and she didn't so much defeat the killer robot, she tricked it into following her into outerspace where the elements did it in. Symbolic, to say the least. One unarmed woman versus five armed thugs? Guess we all know how that ended, right? 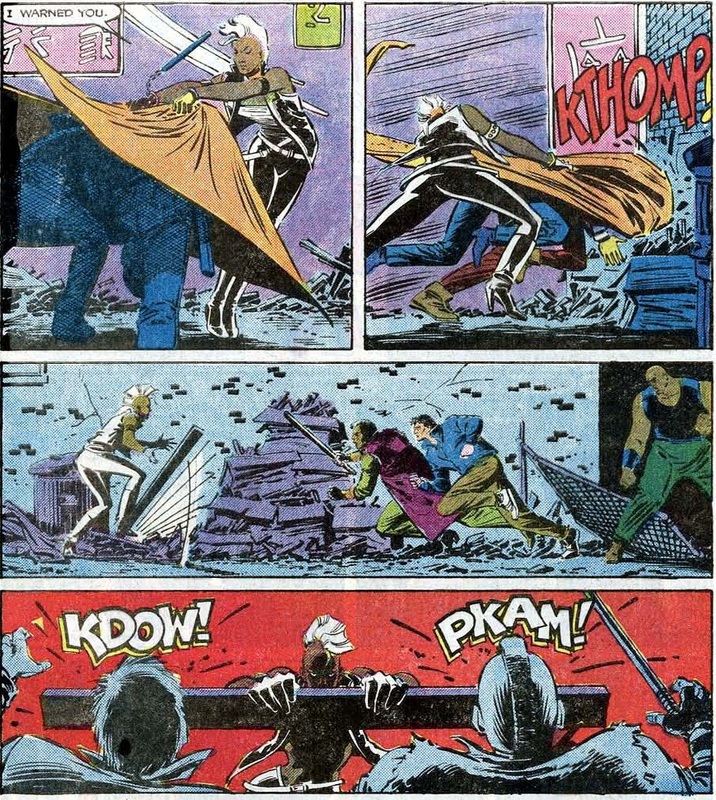 It's a great sequence that really proves Storm was always more than her powers. And while that's all well and good when you're facing muggers, how about an actual superhuman threat? "Pyro plays with fire, but he never gets burned!" Yup, later that same issue Avalanche, Blob, Pyro and Spiral show up in San Francisco to try and arrest the X-Men. They recently became a part of Freedom Force, a government sponsored team of superhumans. Figuring they could use their proverbial badge to settle some scores, the former Brotherhood of Mutants members attacked and were apparently unaware Storm was powerless.
" Goddess! I am flying!" No, not really... 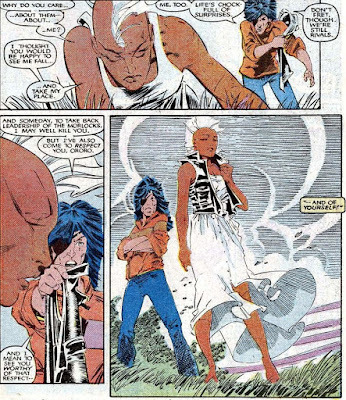 It was just Rachel Grey using her telekinesis to lift Storm up to help sell the illusion. In the end, Freedom Force was sent packing through the power of bureaucracy: they had failed to file for a warrant for the team's arrest, forcing them to let the X-Men go. A bit of an easy cop-out, but hey, whatever works. 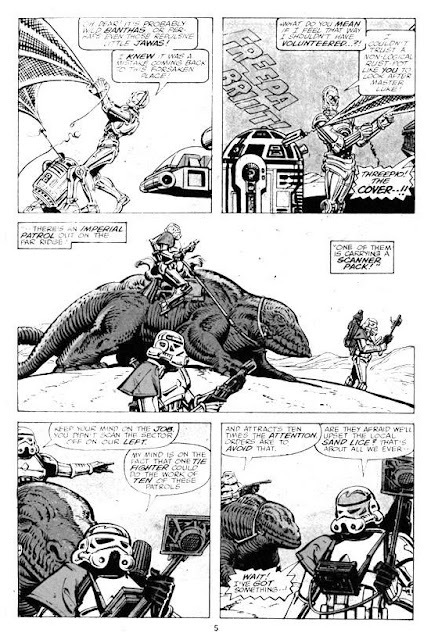 "Whatever works" also seemed to become the unofficial motto of Storm and the team in the months that followed. They had it rough and were forced to improvise. 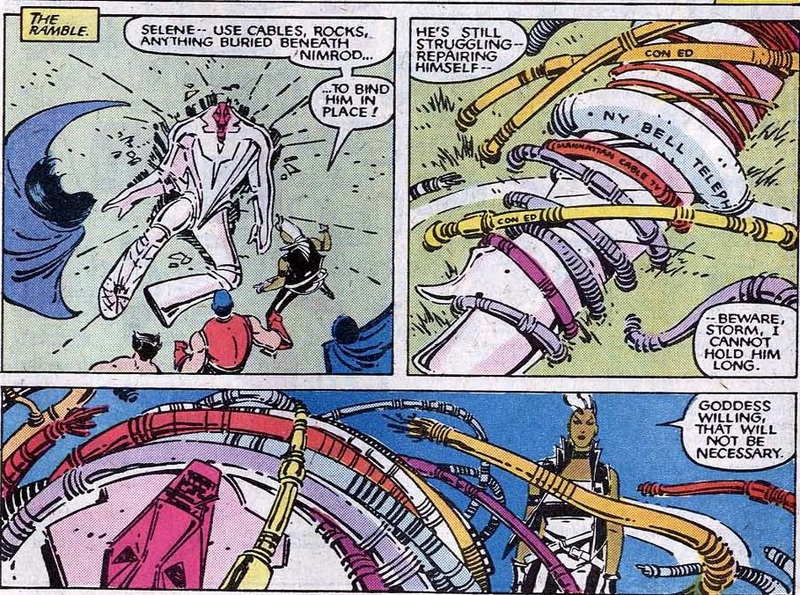 Upon returning to New York, Wolverine was almost killed by a team of cyborg hunters, forcing the X-Men to take refuge with the Morlocks for weeks. Then Rachel Grey went mad and tried to kill Selene, the Hellfire Club's new Black Queen. 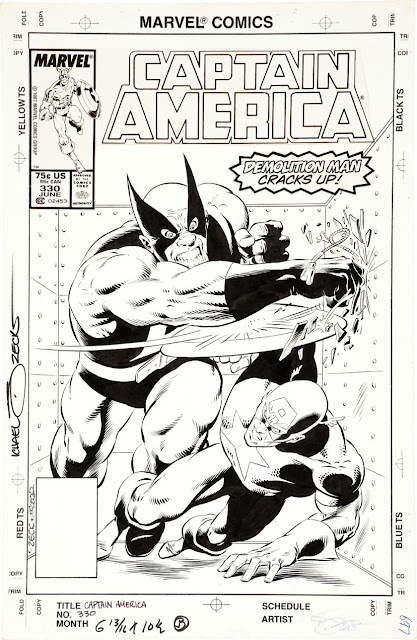 Rachel was stopped by Wolverine but only because he stabbed her through the heart. 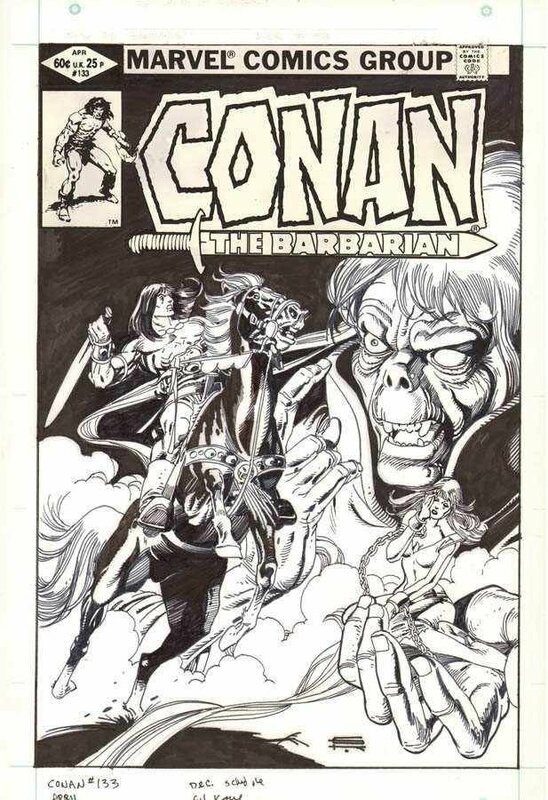 Surviving the fatal wounds by keeping them sealed telekinetically, Rachel stormed off which led to a wild goose chase culminating in a confrontation between the X-Men, the Morlocks and the Lords Cardinal in Central Park... And to top it all off Nimrod showed up to exterminate them all. 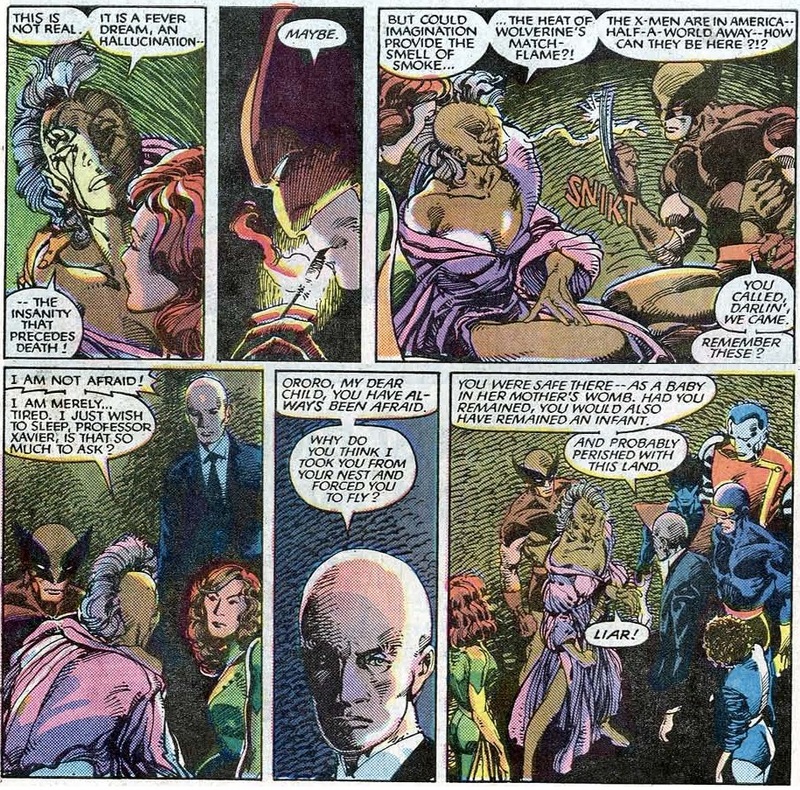 Thinking on her feet, and with nothing left to lose, Storm proposed a partnership to Sebastian Shaw and the Hellfire Club. Together, they might stand a chance against the the hot pink killer robot from the future. "Goddess willing, that will not be necessary"
It's a sign of respect she commanded that the arrogant Lords Cardinal obeyed the powerless Storm without question. Even Selene did as she was told. 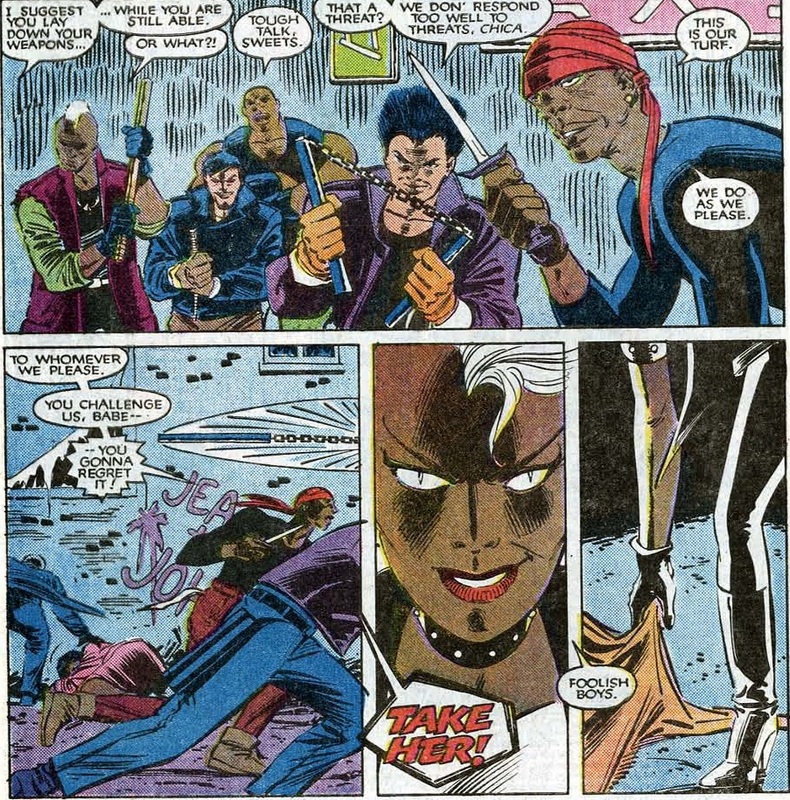 Ororo also managed to motivate the infamously cowardly Harry Leland to up his game, even in the face of death. 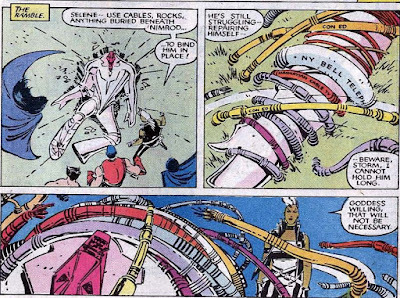 Together, the mutants managed to damage Nimrod enough for it to evacuate and lick its proverbial wounds. 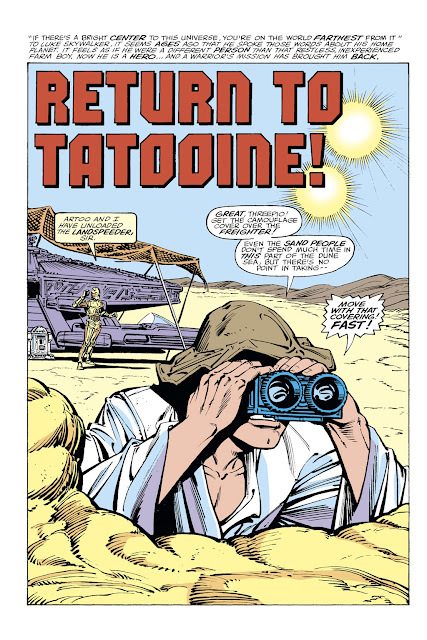 But in the background of this temporary mystery, a new threat began to emerge... 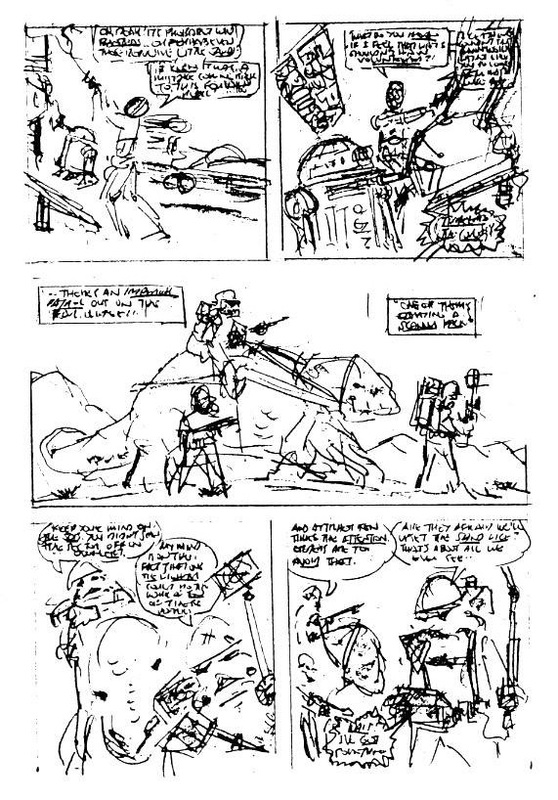 Someone was quietly killing stray Morlocks, in preparation of a major offensive. The Marauders tore a bloody swath through the Alley, the main underground tunnels where the misfit mutants lived. 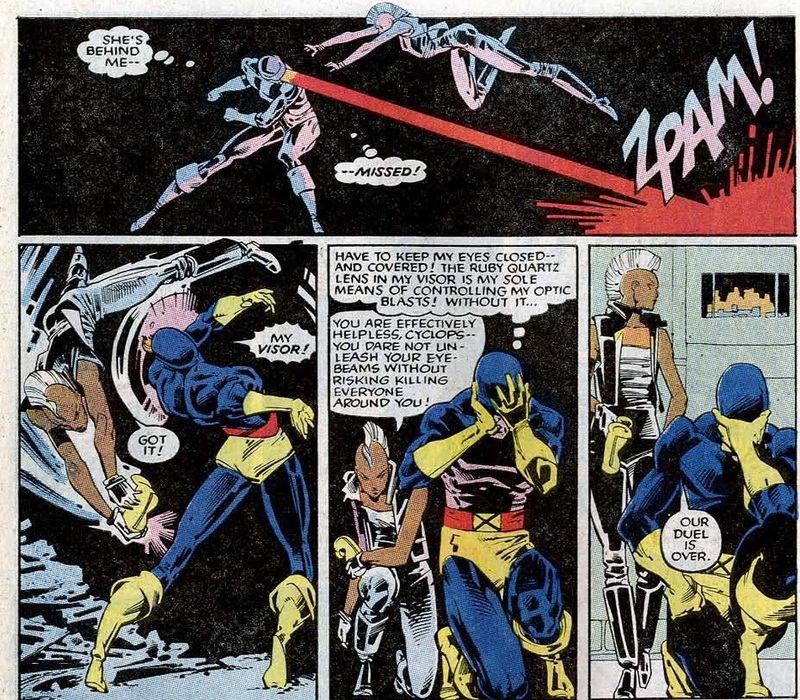 Storm and the X-Men did their best to stop the butchers, but paid a heavy price. 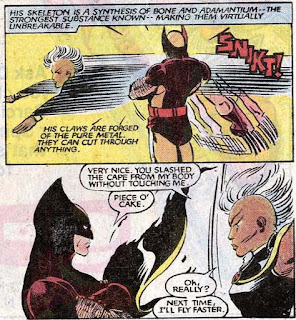 Luckily, Storm found someone to take her frustrations out on. The X-Men managed to rescue a pitiful number of Morlocks and what's worse: the team endured a few casualities of their own. Both Nightcrawler and Kitty Pryde were severly injured, which enraged Colossus so much he killed for the first time in his life. Instead of being plagued by this terrible act, ol' Petey Pureheart was now eager for more blood. "I led the X-Men to this! Bright lady, what have I done?!" In all fairness, it is a lot to take in. Responsible for both the X-Men ánd the wellfare of the Morlocks, Storm realized she had failed both miserably and without her powers she couldn't even properly protect them. Finally allowing herself to break down, which is understandably selfish, Storm ran off, fed up with the responsibility of leadership. In the end, it was the unlikeliest of allies that slapped some sense into her. 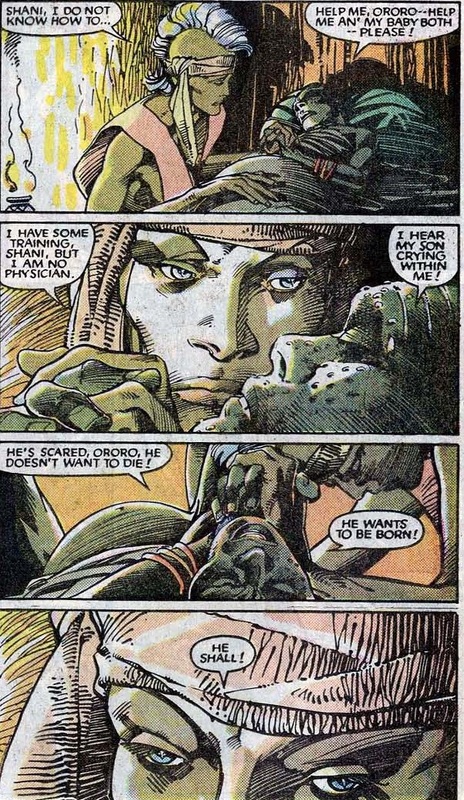 And not just because she cared so much about Ororo. Quite the contrary. "I mean to see you worthy of that respect... and of yourself!" "You could not tempt me with what I already possess"
Read Storm's dialogue for yourself. It's an interesting explanation why she was able to resist Malice's control. She even claims that it's specifically her darker nature that makes her fit to lead the X-Men. Just what she meant by that would become obvious a few issues down the line. 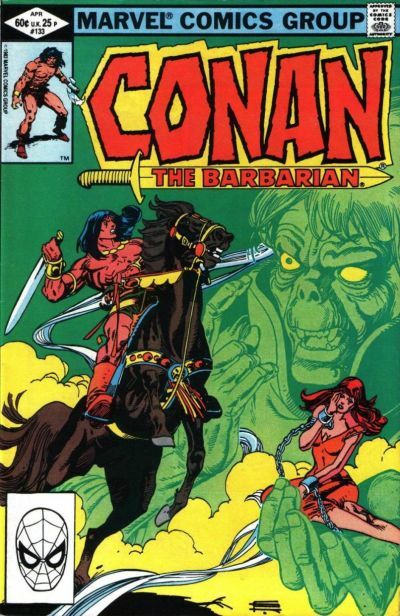 While out on a road trip with Wolverine, Storm got separated from Logan and was kidnapped by three old World War II heroes: Crimson Commando, Super Sabre and Stonewall. 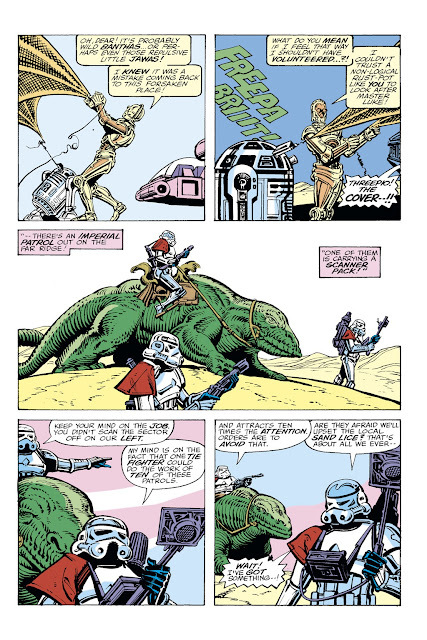 The trio mistook Storm for a criminal (which, given their background and her appearance isn't the biggest stretch). But she fought back... hard. 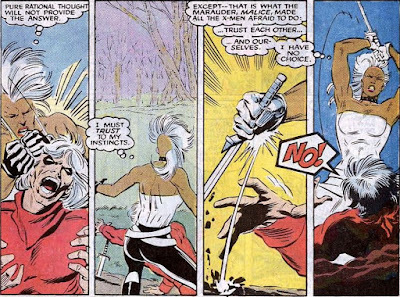 During her early days as an X-Man, Storm repeatedly swore that she would never ever hurt or even kill another human being (again). She had taken a life back when she was still a thieving urchin on the streets of Cairo. That experience had traumatized her so much, she never was willing to do it again under any circumstance. But, if one lives and experiences enough most if not all principles tend to become relative. "A slash of this blade across your throat will do the trick. Your bodies will be cast into the swamp. No one will ever find them. None know what happened." So this is the new Storm... No powers, but ruthless and ready to do anything to make sure the job gets done. Not the worst qualities to have in a leader, but she still felt she could serve the X-Men better if she'd have her powers back. 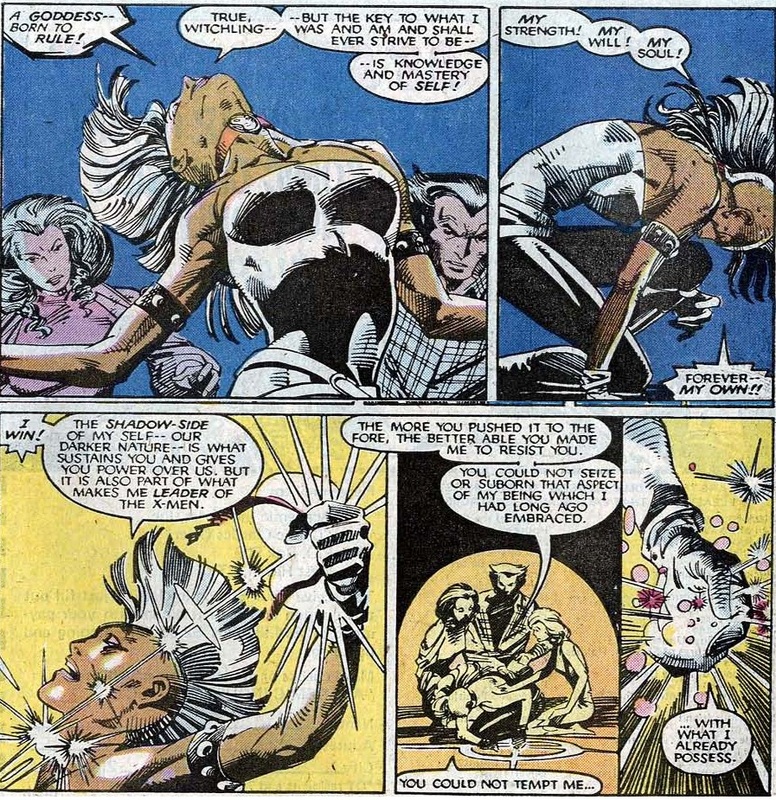 That's why, in the closing pages of Uncanny X-Men I#220 Ororo has decided to swallow her pride. "I can lead the X-Men as I am. But I would do better if I could do so with my elemental powers restored." Well... We all know what's coming next, right? In part IV of Shifting Storms, Ororo returns to the Aerie but finds the bird has flown. The mid 1980s were a time of great change for Storm. After she slowly allowed herself to act like a human being instead of a regal, emotionless weathergoddess, she began to experience a bit of an identity crisis. Thank goodness she still had her powers and her work as leader of the X-Men to rely on, eh? In a way, Storm's mid 80s character arc is largely comparable to that of a teenager going through puberty and discovering that life means permanent change. No one is really ready for that first taste of oftentimes maddening fluidity. Not only is everyone around you constantly changing their mind, hairstyle, goals and friends... You're hardly the same from one moment to the next. Of course, the truth is, you've been changing from the moment you were conceived... It is when you actually start to notice and wonder about the course of that change that things tend to get worrisome. As we detailed in our initial entry, Ororo Munroe had been slowly losing her self imposed inhibitions. All that really remained of her old, aloof weather goddess identity was her trademark cape. Wolverine took care of that in Uncanny X-Men I#178. "You slashed the cape from my body without touching me." It would be the last time during the entire 1980s that Storm wore her black and gold cape. It's a small, almost insignificant touch, but it does cement the continuing change in style and mentality she was going through. Still, even though she was definitely becoming more forceful and ruthless, the kinder and gentler aspects of Ororo's personality still shone true. 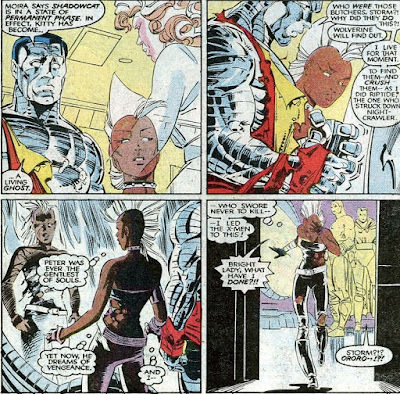 Initially distrustful of Rogue, she finally accepted the former villain when the young woman freely risked her life and endured intense agony to save Colossus. Over the next few months, Storm would become Rogue's unofficial mentor, but that didn't mean she could do without counsel herself. 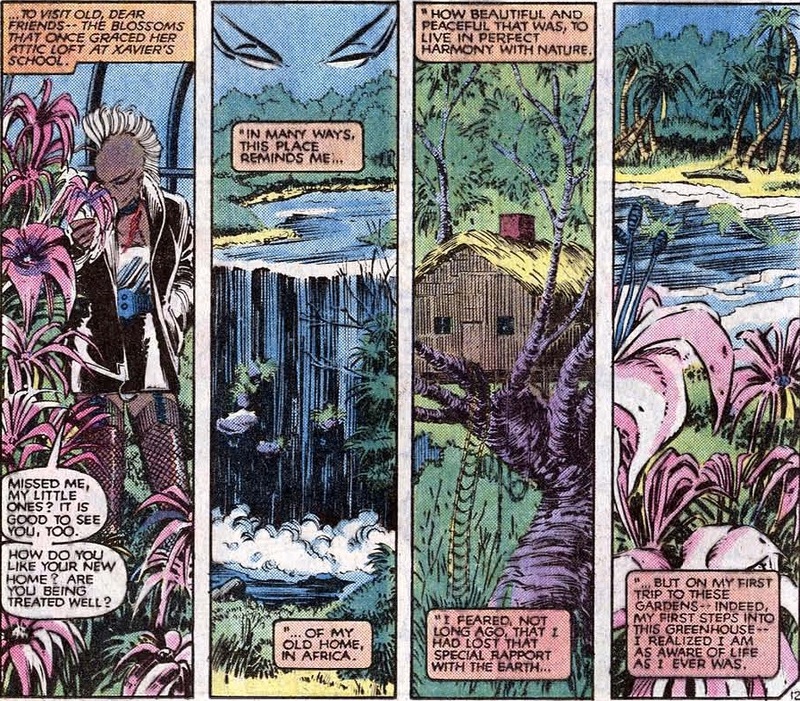 Case in point, the very poignant Uncanny X-Men I#180. And hardly missing them once they are gone." It's such a beautiful bit of symbolism. When we're growing up, we automatically tend to idolize our parents, thinking they have all the answers and are always right. They set the example we, sometimes subconsciously, try to emulate. But as we age, enter our teens start to think and feel for ourselves all that changes. Father no longer knows best. Add to that the fact that her "surrogate father" of sorts now suddenly sees Ororo as a real, vibrant and attractive woman as well. 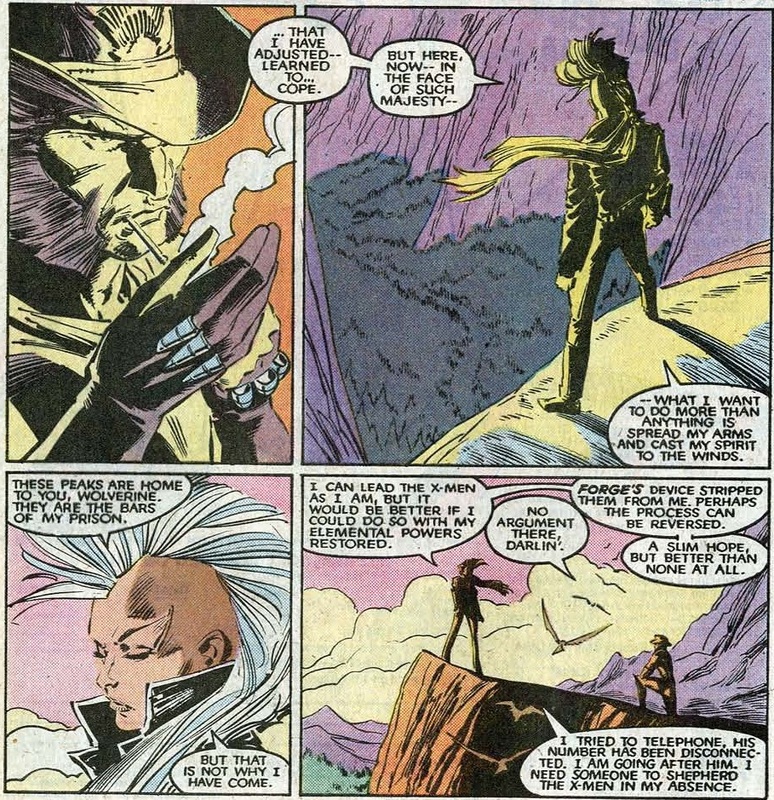 That might have been in part because he'd just regained the use of his legs and Lilandra had just left Earth, but still... Storm had become an entirely different person. 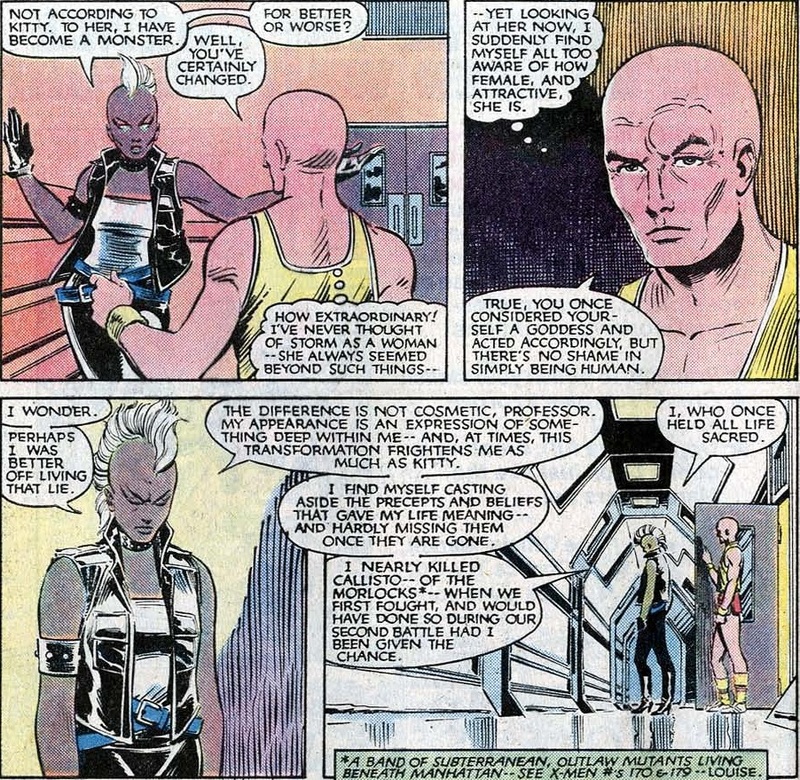 But given her line of work, Ororo wanted to make sure she wasn't being manipulated in some way. A reasonable concern considering the Shadow King had been after her since her days as pickpocket in Cairo. So, Charles has a little looksee. "Sometimes, I think, I fear... I... hope... I must be insane." Ah, the insanity plea...Sometimes, when you're not quite ready to own up to what you really feel, you tend to look for loopholes: "That's not me, I didn't do that... I wasn't in my right mind!". But no, in this case all those maddening questions about her real identity turned out to be quite genuine. Xavier offered to help, to use his telepathy to guide her as best he could. Ororo declined, preferring to see it through on her own. In need of some company, she went to visit her old plants which she donated to the Bronx arboretum after redecorating her attic to reflect her recent changes. but on my first trip to these gardens I realized I am as aware of life as I ever was." 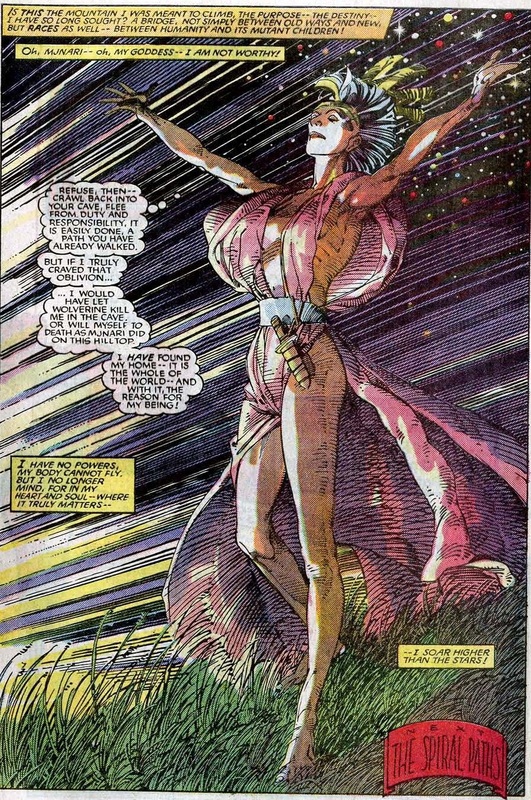 Which is a wonderful sentiment, but a page and a half later, we saw the former weather goddess brutally kicking the crud out of a band of muggers, even summoning a little thunder and lightning for some added scare effects. Her connection to the Earth might still be there, but she's definitely no longer her old self. 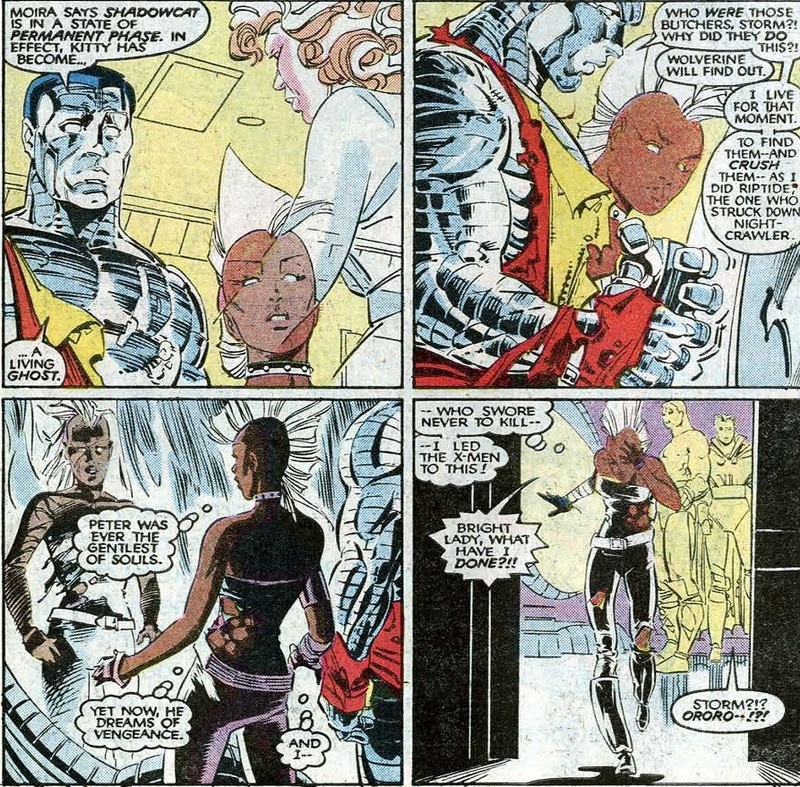 After returning to Xavier's school, Ororo decided to resolve things with Kitty Pryde. 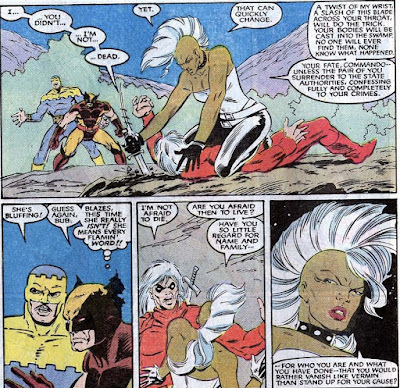 The teenage X-Man was still furious with her because of Storm's recent changes, even calling her a monster. Summoning a gale force wind, Storm took Kitty high up into the sky for a little talk. My place in the scheme of things. I must know who I am as. I must live my life as I see fit." In a very powerful and moving sequence, Storm confronted Kitty with a harsh, but grown up truth. 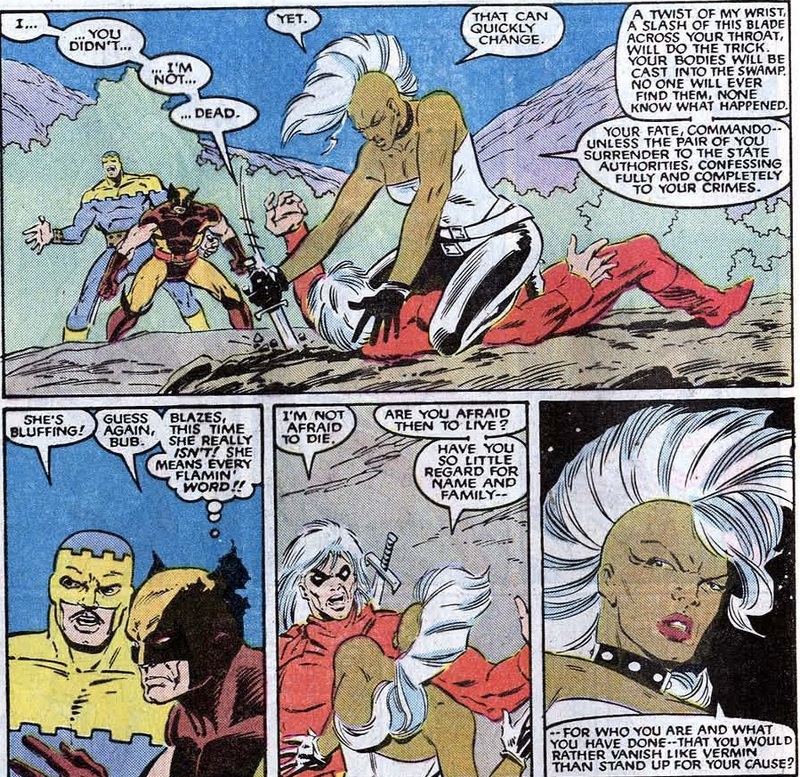 It's beyond selfish of Pryde to blame Ororo for not remaining who Kitty'd decided she should be. But that's what we all tend to do with the people we hold dear. It's much easier to love them for who we we imagine them to be than to accept them for who they actually are, warts and all. 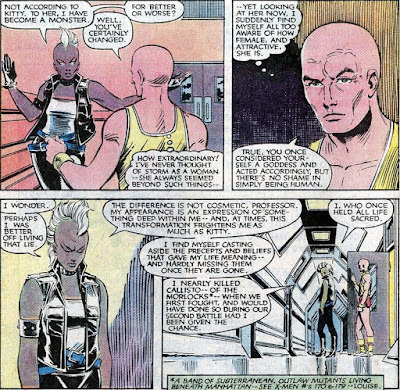 But Ororo was sympathetic, even though she pointed out the hypocrisy behind Kitty's accusations. How can she be a monster for changing when Pryde herself has been reinventing herself left and right? It's a rough lesson to take in, but Pryde took it in stride. 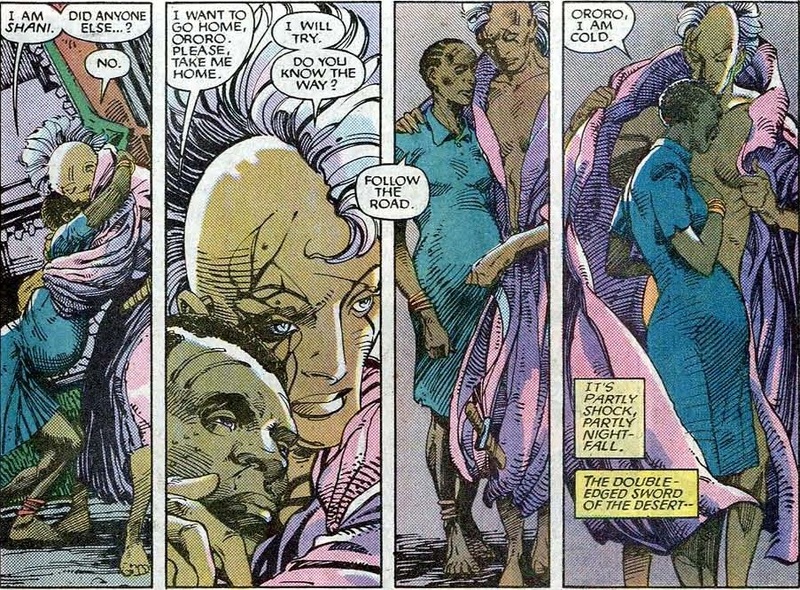 In the end, Ororo got through to Kitty and they even shared a teary-eyed embrace. This scene was also a very elegant way of dovetailing Storm's earlier sentiments on the subject of personal growth and change. Back in Uncanny X-Men I#114, she gave Cyclops a bit of tough love. perhaps what you felt for her wasn't love at all." The weather goddess is wise... in all things, except her own heart. It took over 75 issues for Storm to listen to her own advice and realize she can't pretend she's a fly in amber either. But if you're finally willing to entertain the idea of changing, the unanswerable question is: what will you become? 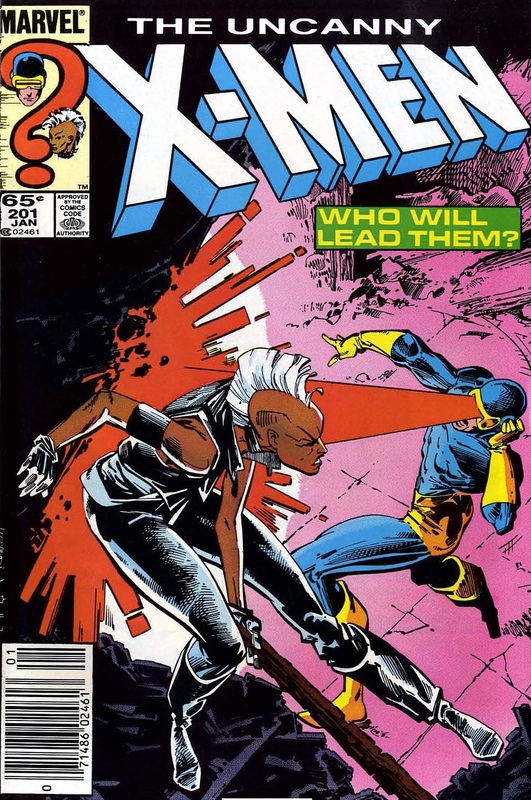 Luckily for Ororo, her work as leader of the X-Men was a way to define herself. 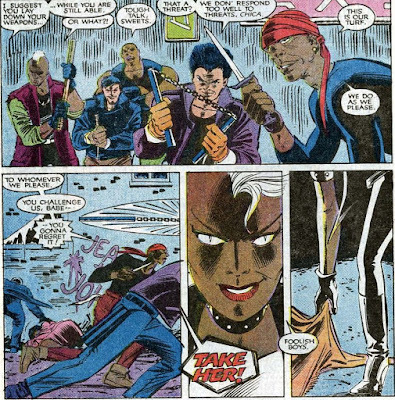 And then the first Secret Wars happened... During the course of the war, Storm began to notice Xavier undermining her leadership, even blatantly ignoring her. Perhaps in part due to the scope of the stakes, the professor started to act like the unreasonable taskmaster he was during the early Stan Lee/Jack Kirby days. 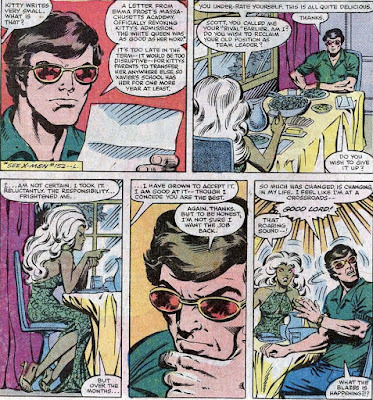 Ororo was willing to entertain her mentor, but when Charles casually passed her by and sent Cyclops to lead an away mission in Secret Wars I#6, Storm was fed up.
" I am the leader of the X-men... Not Cyclops and not you!" Xavier defused the situation surprisingly quickly, perhaps through a bit of mental coercion. But the idea of having the professor accompany them on missions, ordering everyone around telepathically, began to wear on Storm. It also fed her insecurities, a telepath would be far more useful and versatile as team leader. 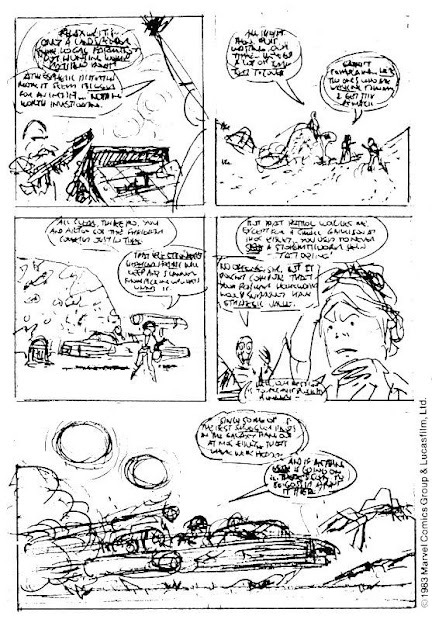 "I must admit, the professor makes a superb leader (...) But is his desire to lead... his automatic assumption of command... a reflection of my performance? Am I not good enough?!" 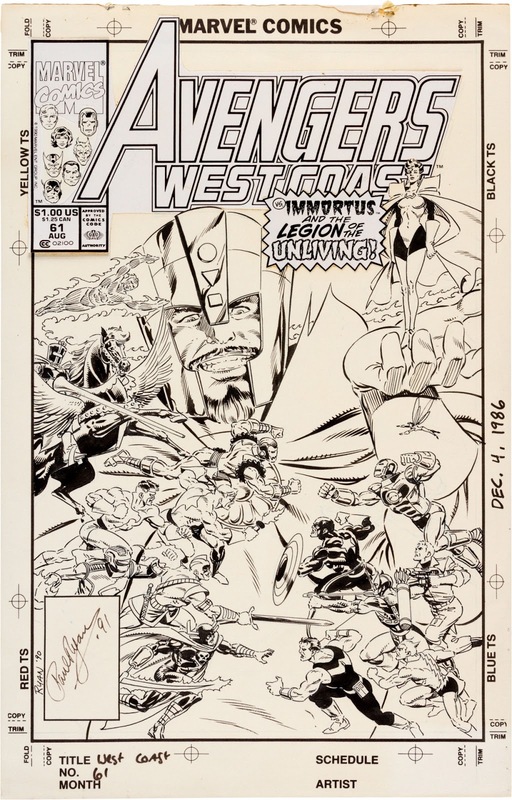 For a few months, Claremont played up the alleged tensions between Storm and Xavier, no doubt obligated to pay lipservice to the plot set up by Jim Shooter in Secret Wars which was still being published by the time these issues saw print. Either way, the drama always felt a bit forced. The professor and Storm respected each other and Charles had long since accepted the X-Men weren't rookies anymore, in constant need of his supervision... Heck, that's what the New Mutants were there for. 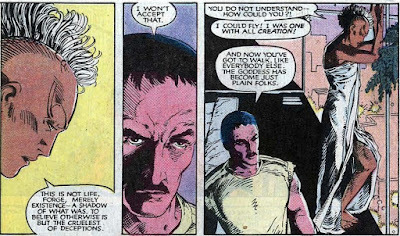 But whether or not Charles Xavier was gunning for her job was soon to be a moot point considering the climax of September 1984's Uncanny X-Men I#185. Concerned with the threat posed by the Dire Wraiths, the American government had reached out to mutant inventor Forge. 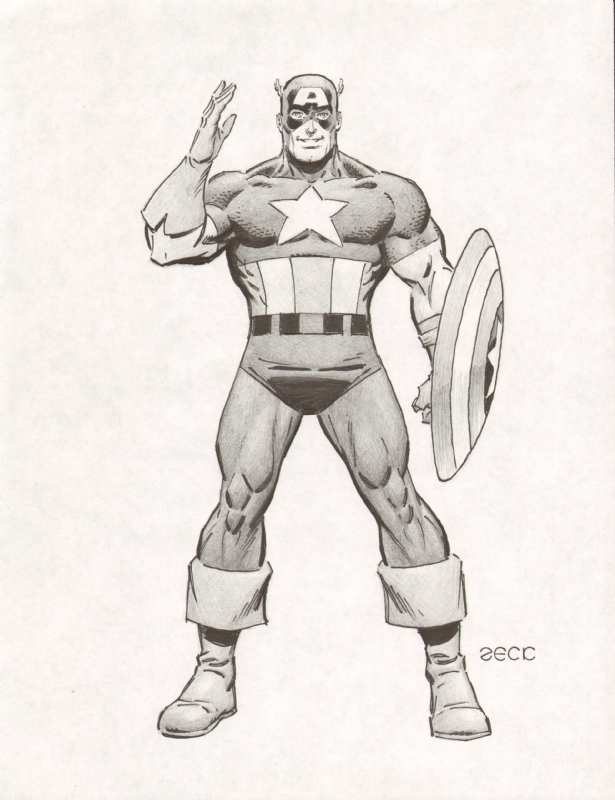 He was requested to come up with weapons to fight and defeat the alien menace and obliged by dreaming up a power neutralizing gun. 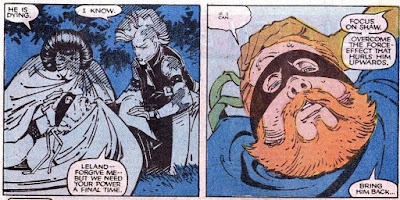 Henry Peter Gyrich realized it would also work on mutants. 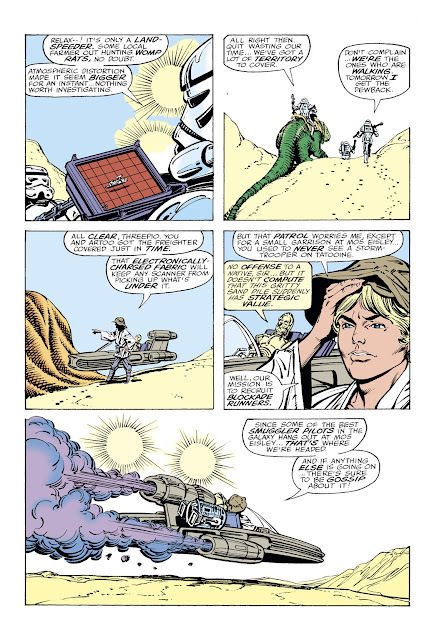 Taking the prototype, Gyrich was determined to use it on Rogue, who had only recently raided the SHIELD Helicarrier. Not willing to let go of his creations before they were thoroughly tested, Forge attempted to stop Gyrich from depowering Rogue... only to hit Storm instead. 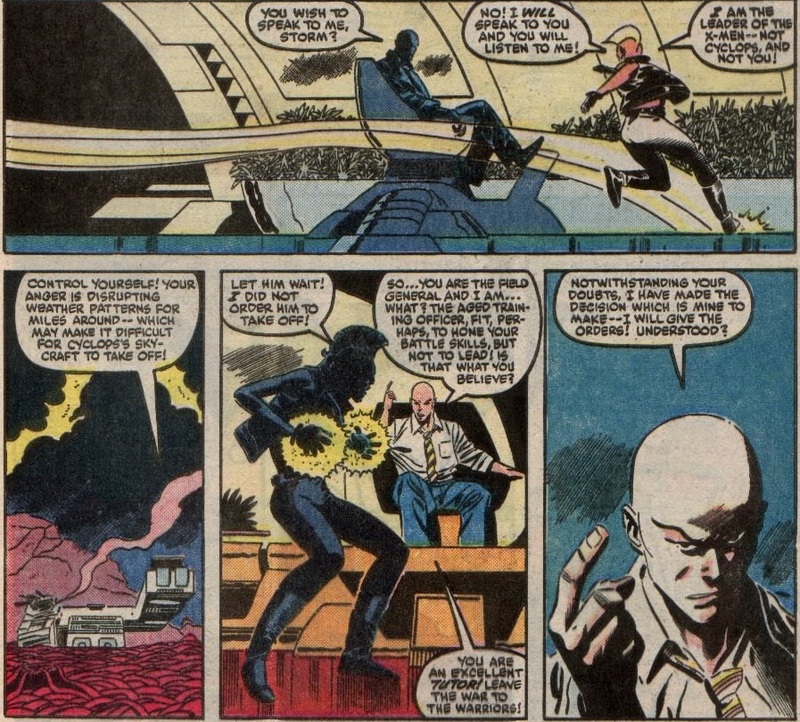 Forge used his connections to get Storm transfered to his home in Dallas, a luxurious high tech skyscraper called the Aerie. The inventor wanted to make things right, feeling guilty over what had been done to her. Storm was in no mood to be cared for, pampered or doted on. She was in deep mourning over the loss of an essential part of herself. "This is not life, Forge. Merely existence... a shadow of what was. To believe otherwise is but the cruelest of deceptions." 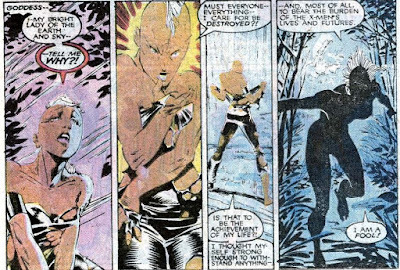 Well, one thing that came from this tragedy: now we know Ororo's tendency for overwrought exposition isn't a mutant power. 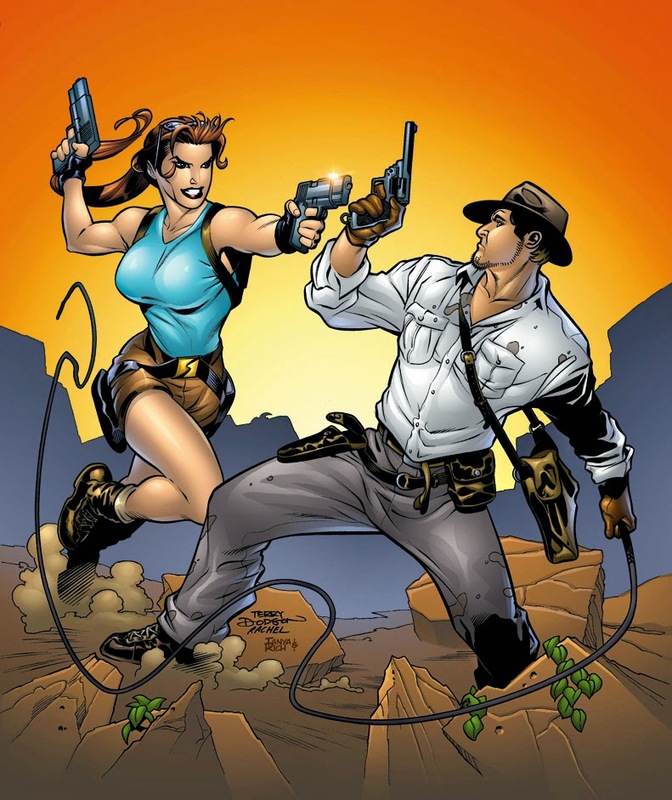 But despite their thorny start, it soon became apparent there was an undeniable attraction between the fallen goddess and the Cherokee inventor. 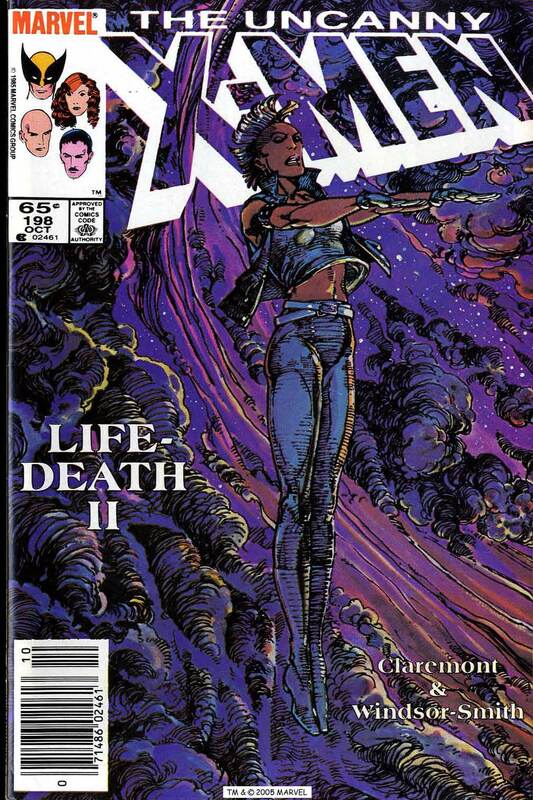 In the smart, smooth and subtle double-sized Uncanny X-Men I#186 the creative team of Chris Claremont and Barry Windsor-Smith told the story of young love between old and scarred souls tormented by their own demons. And even though love blossomed, it all fell apart when Storm figured out Forge was responsible for the weapon that mutilated her. Furious, she walked out on him. Storm returned to the X-Men (after a verrrrry long, three issue adventure that saw Ororo teaming up with Forge, his old mentor Nazé and the summoned X-Men to fight off the Dire Wraith threat). 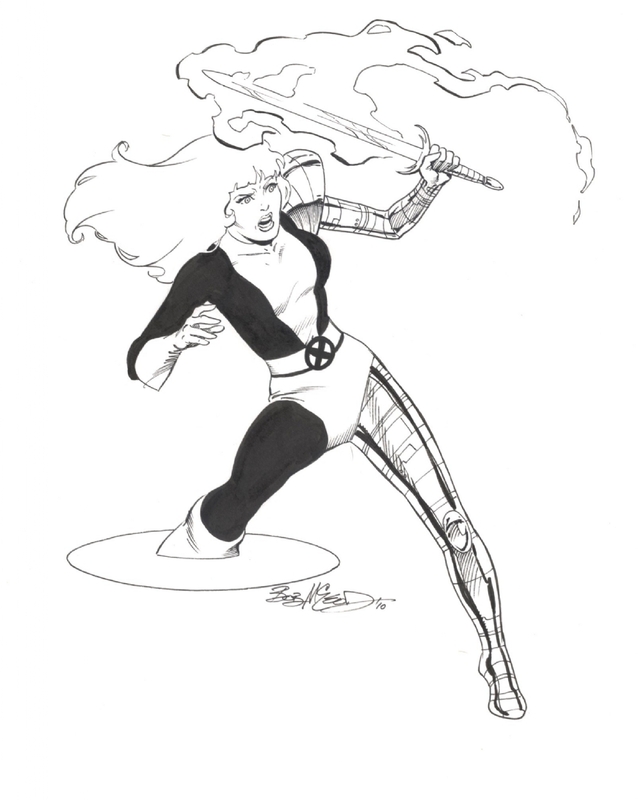 Without her powers, she'd decided she had no reason to remain with the X-Men. 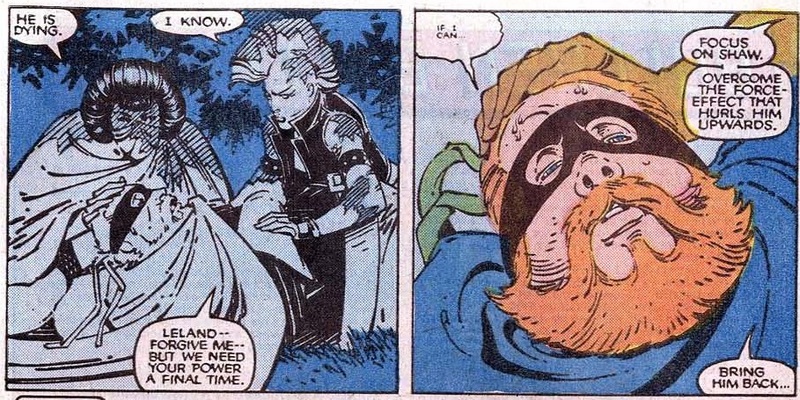 In fact, Nightcrawler had already replaced her as team leader, but Kurt was insecure and convinced he didn't have one bamf*ing chance... as seen in this scene from Uncanny X-men I#188. "Do it as a favor to me. I need you by my side, this last time more than ever"
Oh man, did Charles get it wrong when he picked Kurt... If you need your now powerless, defrocked and traumatized teammate to hold your hand during a meeting you requested... only attended by people you've known for years... worry. "You are the windrider, the goddess... ORORO! 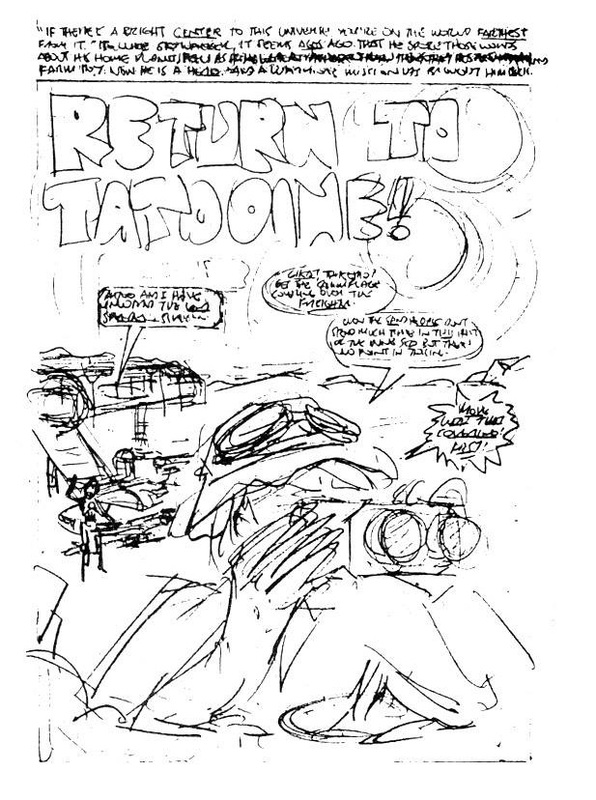 You have returned!!" First things first: the people Storm's holding a gun on are a group of wealthy Westerners on safari, acting like they own the place. When they tried to take advantage of the lone woman running a local bush station, Ororo stepped in and forced them away. 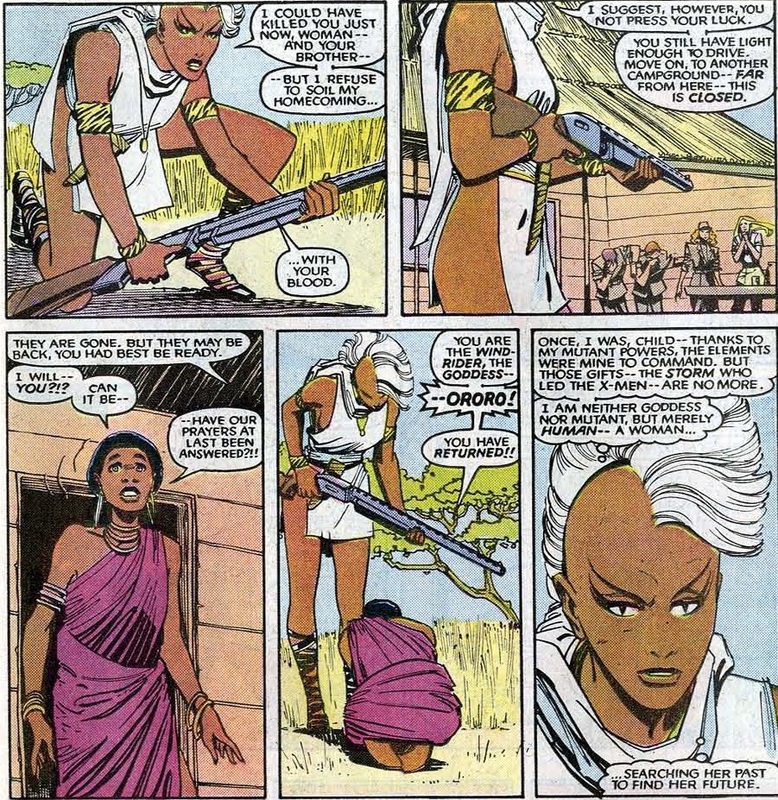 But isn't it a bit odd that Storm chose to return to Africa to find out who she really was? After all, it was there that she started the all-consuming act of pretending to be an emotionless elemental deity. Why would she want to return to that figurative cage, especially now that she no longer had the mutant powers to back up that comforting, self-serving lie? "No... How could you shoot so noble a beast... NO!" 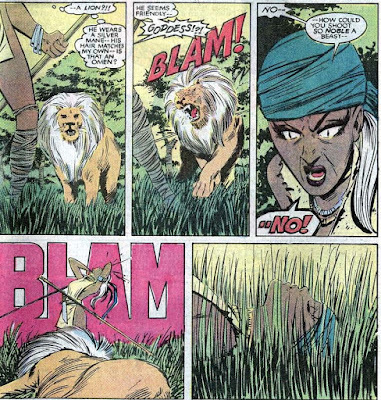 The silver maned lion was part of an aborted storyline Chris Claremont had planned for Storm. It was supposed to be an omen, just like the mistlike image of her mother N'dare Ororo encountered on the boat ride over. Back in Uncanny X-Men I#160, Claremont had introduced an alternate reality version of Storm who had pretty much lost her mutant abilities, but was now a powerful sorceror. 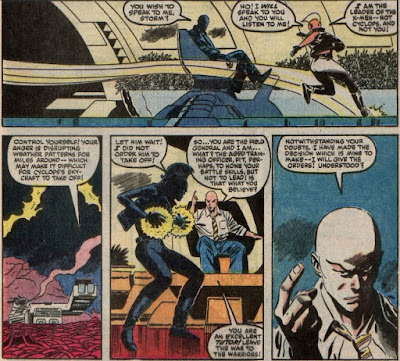 "As I grew older (...) I turned to the other half of my heritage: sorcery"
To his credit, Claremont did his best to set up this new turn for Storm... 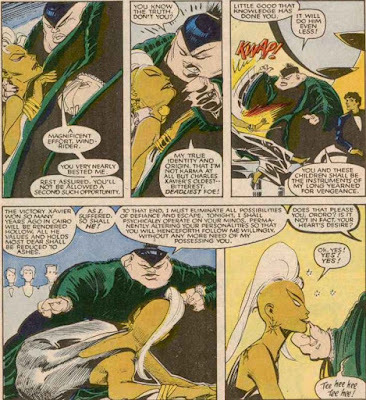 He even used New Mutants I#32 to introduce Ashake, an ancient Egyptian ancestor of Ororo's who was also a potent mage. In the end, nothing came of it... Even though you'd have to be able to pull a rabbit out of your hat to survive a bullet to the head. 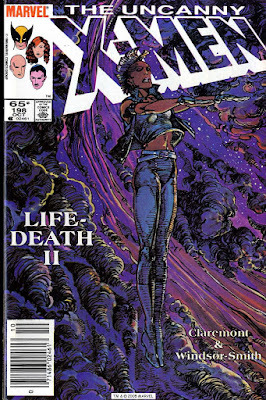 But Storm survived, leading into perhaps *the* defining issue of the 1980s: Uncanny X-Men I#198, or Life-Death II: From The Heart of Darkness. 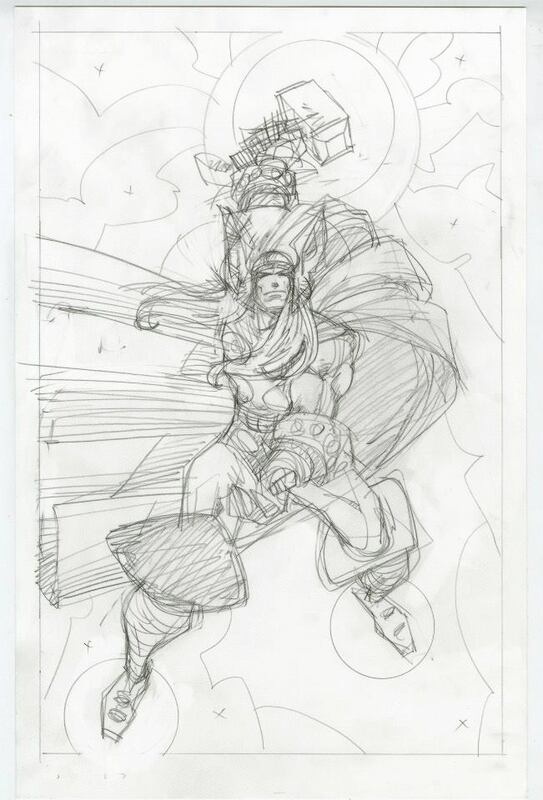 "Ororo, my dear child. You have always been afraid. Why do you think I took you from your nest and forced you to fly? You were safe there... Had you remained, you would have remained an infant." 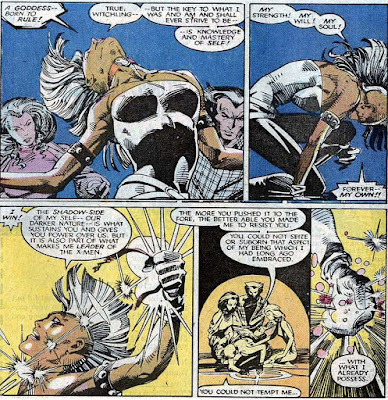 Tormented by cruel visions of her loved ones mockingly tempting her to give up and die, Ororo persevered. She went out into the storm again, mercilessly buffeted by the elements she could once control with a mere thought. 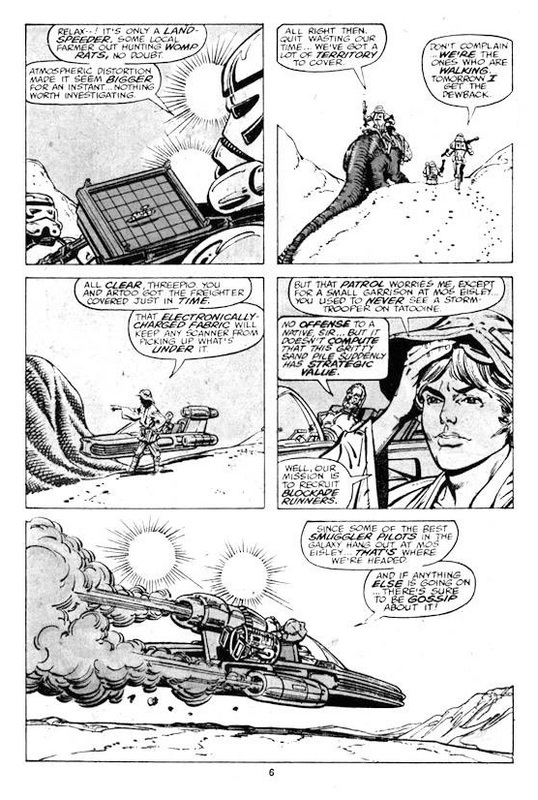 If there was a trace of hubris left, it got sandblasted away during that hellish ordeal. In the midst of the sandstorm, Ororo discovered a crashed bus and its sole surviving passenger: a young, pregnant woman named Shani in desperate need of help. Freely giving of herself, even if she had little else to offer than the shelter of her body, Ororo made sure Shani reached her native village. If nothing else, this marked Storm's true heroism. First, she refused to give in to fear and doubt, overcoming seemingly insurmountable odds and then to stand ready and fight for someone in need. She didn't need her mutant powers, the X-Men's aid or the illusion she was a goddess in order to matter. She was even crucial when Shani went into labor and things took a turn for the worse. "I hear my son crying within me. He's scared, Ororo. He doesn't want to die! He wants to be born!" Thanks to Ororo giving the child some much needed mouth to mouth resuscitation, the villagers could welcome their newest member. This also meant the village elder Mjnari had to honor a cruel but necessary tradition: since their food supplies could only support a certain number of villagers, whenever a new life entered their world,the oldest one had to go. Storm watched the elder will himself to death on a nearby mountain top. 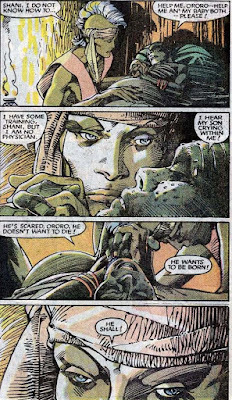 After burying a friend she barely knew, Ororo was suddenly overcome with a new sense of purpose. "I have no powers. My body cannot fly, but I no longer mind. For in my heart and soul... where it truly matters... I soar higher than the stars!" It's hard not to be moved by so powerful and sincere a message, even if it's slightly schmaltzy. 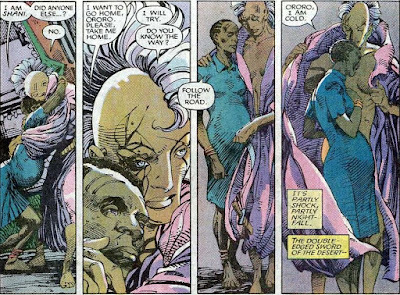 Ororo would remain in Africa, acting as a bridge between the old ways and the new, as well as between humanity and its mutant children. In a way, she had reclaimed, nay, earned her old position as "goddess". But now, she was a living, breathing and feeling woman instead of an artificial edifice.